This year I witnessed several Easter miracles. The first happened when for the first time in history not even one of my kids woke in darkness to scope out the living room for hidden eggs. The second miracle was that when my youngest woke first he (to my complete and utter surprise) patiently waited over an hour before asking if he could wake his sleeping sisters so they could do the Easter egg hunt. 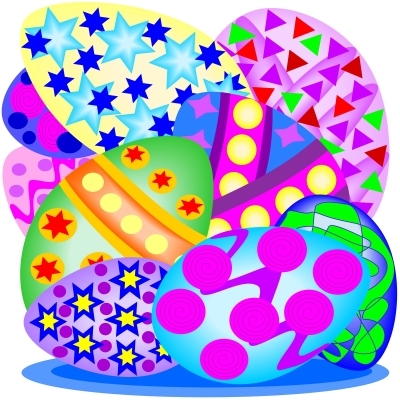 The final miracle was that when doing the egg hunt, they all calmly collected eggs and then once they were sure they had found them all, decided of their own volition to pool the eggs before dividing them equally amongst themselves to ensure everyone got the same amount of eggs. I was less surprised by the instant consumption of the chocolate eggs before breakfast – but as my kid’s seem to have inherited my chocoholic genes, I understand that they revel in the fact that there is one day a year where chocolate is the staple food supply for the day! I hope you all had an enjoyable, choc-filled Easter with quality time spent with family and friends.